Nelio AB Testing is a right plugin if you are looking for more extensive support for A / B testing functions. It is one of the most comprehensive plugins for internal split testing on WordPress. It allows split testing for, the name of the post/page, website name, image selection, announcement record, widgets/menu and various themes/CSS. It also provides heat maps of clicks and active maps. Therefore, you can examine the impact of each change on user behaviour in detail. The plugin is fully compatible with WooCommerce. So, you can add the necessary split testing for your WooCommerce store. You must notice that the first 1000-page views are free. You need to subscribe to the premium version of the plugin to keep using it. You may be writing high-quality articles for your website, but not many will be able to impress visitors if they have uninteresting titles, you can use the plugin to conduct A/B testing of posts or WordPress pages and prevent the trouble. Furthermore, you can quickly add different variations of the title while writing posts. Just forget about the post and let title Experiments sort the best title. Once the plugin finds a suitable title, you can use them for articles and increase the overall effectiveness of your articles on the web. Corresponding to its name, the free version of Simple Page Tester allows you to set up split testing among variations of posts or pages and choose the best stuff for your website. The plugin will track various indicators (it even integrates with Google Analytics) and determines what is best for you. 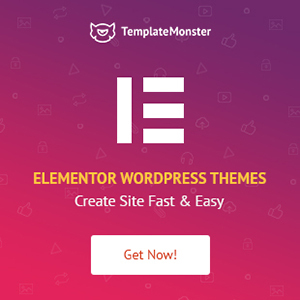 If you use its premium version, you will be able to track individual page elements and changes using shortcodes and can add the plugin toe WooCommerce store to conduct the split test in an easy way. AB Press Optimizer is perfect for a number of test options. It allows you to perform split testing of various elements on WordPress, including titles, text, buttons, images, content blocks, forms and site headers. You can easily test any element, page, post, or custom post types in an easy way with the help of this plugin. There are no monthly expenses for using this plugin. Optimizely X is the best plugin help to created almost every aspect of your site. Being external, it also includes a WordPress plugin to help integrate Optimizely with WordPress and have detailed control over what you are testing. You can use this premium plugin is you have a serious business with ample budget. You can use it to conduct A/B test for enterprise level website and choose what is best for you. WordPress Calls to Action allows you to create and then conduct A / B testing for different CTA buttons on your website. Further guidance provided by Expert WordPress Development companies will have a significant impact on how effectively you can manage traffic. The plugin can work as a standalone solution and integrate WordPress Landing Pages for even more functionality on your website. SEO A/B Split Testing works as an advanced SEO testing tool, which allows you to test content, schema.org, keywords, internal links, anchor texts, etc. You can easily organise A/B Test for different aspects of SEO and determine what works for your brand and what goes in vain. You can also use it to test title or meta description and evaluate the performance of SEO efforts. We all know that landing pages are created for the promotion of products and services and ensure the generation of leads and sales in an easy way. This plugin allows you to monitor the conversion rate, easily run a/b on landing pages and increase the flow of lead generation up to a great extent. With the help of A/B Tester WordPress plugin, you can easily conduct simple univariate A/B tests to at any time and compare the overall conversion rate of two different versions of the same text, CTA button, image, landing page, title, etc. If you use the premium version of the plugin, it is possible to compare conversion rates for stylesheets and scripts. All tests and calculations are performed on your WordPress installation and there is no need to use external services for A/B test. We all know that optimised URLs play an important role in search engine optimisation. It helps search engine bots to easily read your content and show them in search results. On the other hand, unoptimized URLs are avoided by search engine bots because they are difficult to scan. With the help of this plugin, you can conduct A/B test for numerous URLs and determine the better version of them for your website in an easy way. It is a nice Plugin for all those individuals who run WooCommerce websites. With its help, they can run A/B test for their product pages and determine which one is best for them. You can also operate split test for the title, description, short description, thumbnail and gallery. All these help you ensure more leads and sales every day. A/B test lets you know which version of a website, landing page, design, title, content, etc, more effective and helpful in lead generation. You can use the above-mentioned plugins for conducting A/B test for WordPress website and offer better stuff to the audience. Best of Luck! Jason Daszkewicz is a Senior WordPress developer and passionate blogger. Currently, he is associated with WordSuccor, offers top rated Custom WordPress Plugin services all across the globe. He is well known for his professional writings and technical blogs. He loves to share useful information regarding WordPress. Follow him on Twitter and Instagram.